Although Samsung has officially mocked the lack of choice that you get with Apple and has made statement and insinuations that Apple is a closed company it sure seems that they are not above the same behavior themselves when it comes to their own phones and services. Lately the internet has been buzzing with talk about their new Galaxy S III phone. Samsung thought to have a market leader by confining certain apps to their product line (the same what that Apple does). Some of these apps have already been ripped from the phone in the form of .apk files that allow for installation on just about any Android OS with the right installer app (you can find them free in the Google Play store). 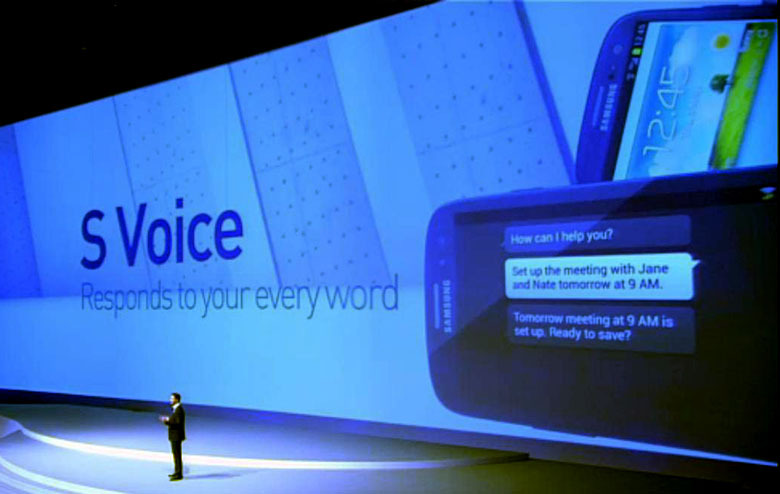 We have already tested out the Flipboard APK and now we have heard that the voice assistant that Samsung was pushing on the S III has been ripped and pushed to the masses. This is exactly the type of behavior that Samsung continually throws in Apple’s face about the iPhone and other Apple products. They claim that Apple is being anti-t competitive over the hoarding of this type of tech for a single phone and yet, here they are doing the same thing. I honestly could have seen it if they decided to limit this to all Samsung phones (S, SII Galaxy Nexus etc.) running ICS (even though that is still a little obnoxious), but they limited it to the S III. Considering the fact that the phone has not hit the market it most areas it makes the move even more elitist.